Fixing a bug that prevents stacking of multiple Honor guidance cards. This entry was posted in Releases on June 16, 2014 by Eldhelm Team. Introducing our new payment provider – Xsolla! This entry was posted in Releases on April 14, 2014 by Eldhelm Team. This feature also addresses the issue some players have. There are just too few high level heroes in the ranking. As the hero card now becomes really strong and its combos even stronger we hope more player will be seduced by this power and allow themselves to level up! This entry was posted in News on April 11, 2014 by Eldhelm Team. 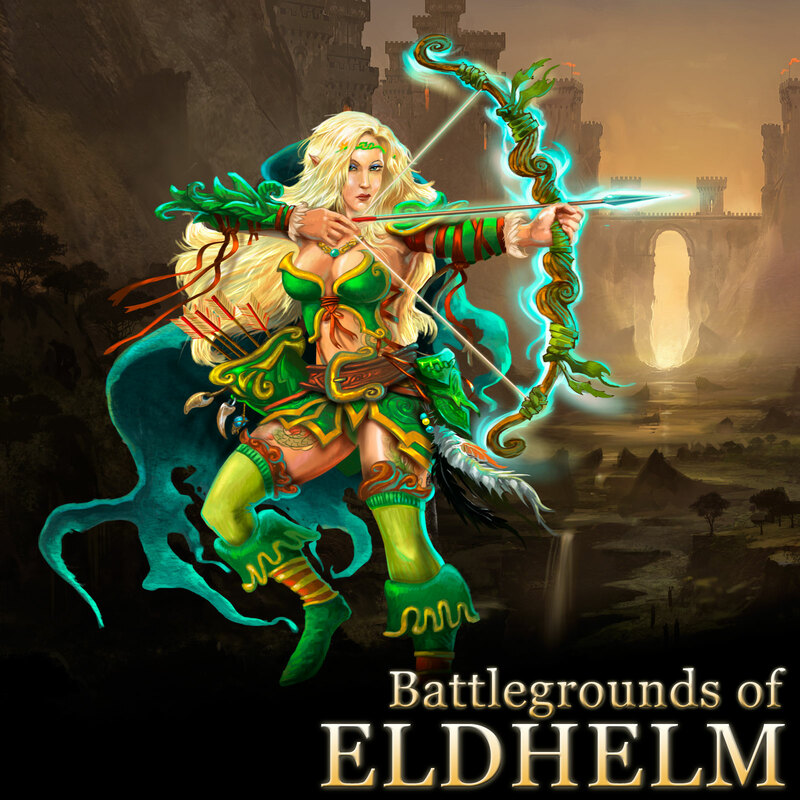 We are super happy to announce that Battlegrounds of Eldhelm second expansion has been released! A brand new Elf Archer character – with unique cards, combos, skills and story! A third campaign for all characters – the epic story of Eldhelm continues! We have redesigned the cards – the duration and energy cost attributes are located in specific places now. Collector decks are free – you can create as many as you like. If you haven’t heard, we are doing tournaments from time to time. Be sure to check those out! We are trying hard to make the game as accessible as possible by translating it to multiple languages. We are really willing to introduce more languages, but we need some help to get started! If you are committed to help, please tell us! Please, report issues and bugs. Tell us about your ideas and wishes. Thank you for all your trust and support! This entry was posted in Newsletters on February 26, 2014 by Eldhelm Team. Here is an image of the new character! This entry was posted in News on February 26, 2014 by Eldhelm Team. This entry was posted in Releases on January 22, 2014 by Eldhelm Team. It was an amazing year for us, here at Essence, the team behind Battlegrounds of Eldhelm. We go the opportunity to work on something we really love! We wish you all the best, much happiness and joy and let the 2014 be at least as cool as 2013. We are preparing some awesome new stuff so stay tuned! This entry was posted in News on January 1, 2014 by Eldhelm Team.